The Legoland Discovery Center sponsored myself and kids entry to both Attractions in lieu of this review. All opinions are my own. What if you could take your kids somewhere fun for a family outing, but have fun yourself? That’s what happened to me over spring break! I secretly let the kids think that this trip was for them, but it was equally for me. 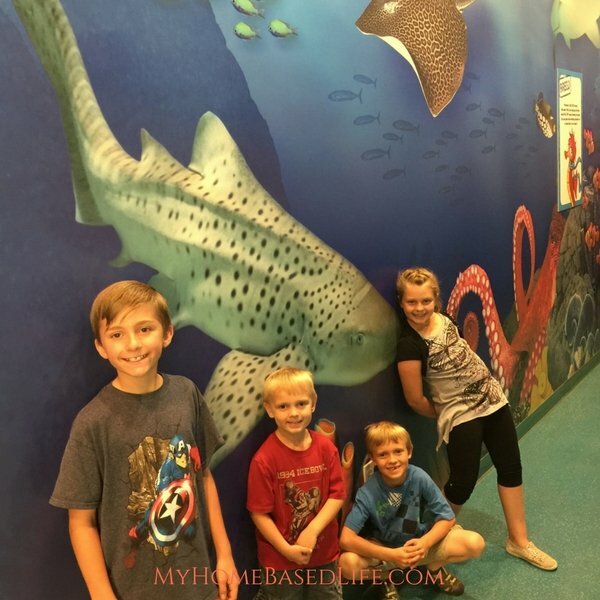 We visited the Legoland Discovery Center & Sea Life Aquarium. You know when you head to a Legoland Discovery Center, you’re going to be hitting up the Lego Store. This was one of our first stops. My kids LOVE to see what awesomeness awaits them. There are Marvel Super Heroes, Lord of the Rings, and every Lego you can imagine in between! The Legoland Discovery Center is a place you can get lost for hours, which is what I loved about it. You should plan to stay here all day because there is that much to do! There are 12 great family attractions to check out here, so don’t miss them! Here are a few of our favorites. Miniland– What’s more fun than seeing a mini version of all your favorite Legos? Go see this and be amazed at the “mini” world. You can explore, and it is fun knowing this attraction used over 1 million Legos! Lego 4D Cinema – Yes, this was a favorite and it’s so much fun! We are all Lego 4D cinema movie lovers! 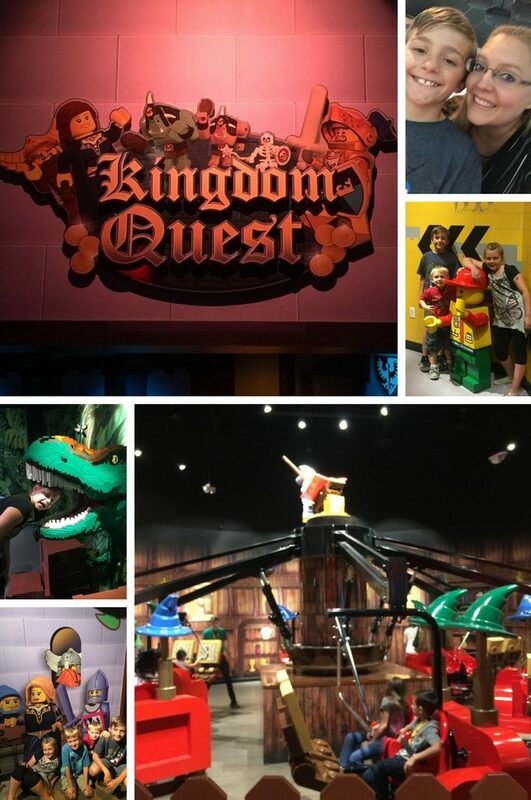 Kingdom Quest – My kids and I loved riding Kingdom Quest. Trying to capture the princess was a lot of fun. Merlin’s Apprentice Ride – Another fun ride that the family will enjoy. Go faster and soar into the sky, I promise you will have a memorable time. There is also a Lego City Play Zone, which is a memory maker for kids! Wherever there are Legos, my kids will be there playing with them. The Lego Factor Tour is a great experience for the whole family. You get to see first-hand how Lego bricks are made. 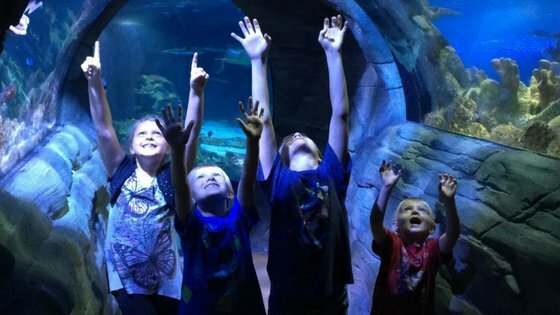 After you spend some time at the Legoland Discovery Center, zip on over to the Sea Life Aquarium. When you purchase your tickets for either location be sure to purchase the Combo Experience to get the best bang for your buck. I have to mention that this is another place you may want to schedule a whole day for! We did our trip on spring break, so it made for plenty of time. 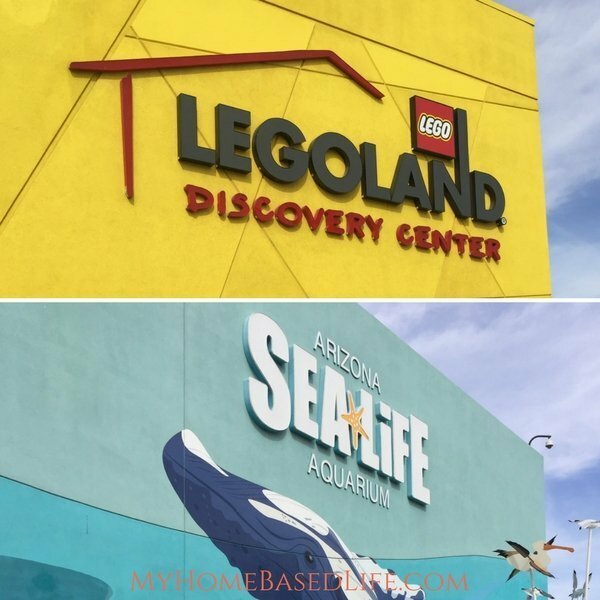 Both the Legoland Discovery Center and the Sea Life Aquarium are family friendly but are HUGE, so you’ll want plenty of time to walk through and absorb all the fun at both. 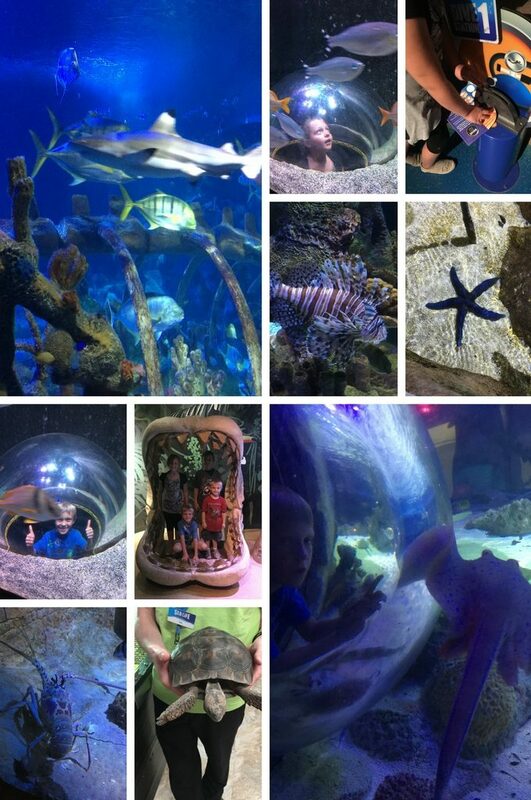 The Sea Life Aquarium is fun in so many ways. Mostly for the fact that you have so much access to sea life. Be sure to opt-in for the Activity Pack when you get tickets. When you complete the booklet the kids get a prize! 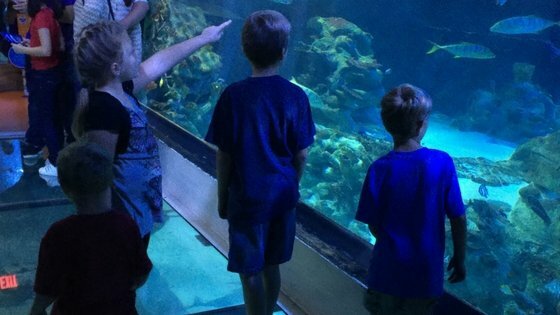 When heading to this aquarium, you’re going to be amazed by all the exhibits available. Freshwater – Yes, there’s a freshwater exhibit, so you can get nose to nose with creatures that live close by. 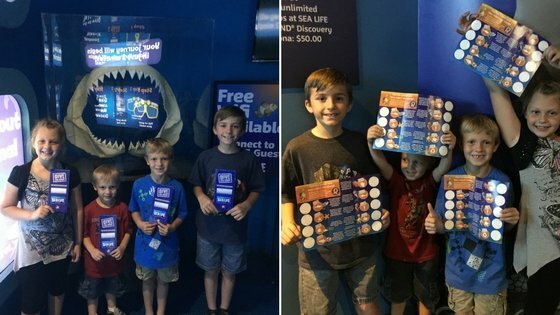 Harbor Area – The whole family will love this exhibit and see what lives in the harbor area of the Sea Life Aquarium. Interactive Tidepool – Hey, anytime the kids can get up close and personal with rockpool creatures, let them! Shoaling Ring – Wow, seeing all these barred flagtails swim around you, as you watch, is amazing. So, don’t miss it! Bay of Rays – Everyone loves a little bit of RAY in their life. Happy and smiley rays await your arrival. Yes, it’s a never-ending special way to get an up-close and personal view of ocean life that you wouldn’t be able to see every day. Our family LOVED it. We also love the Sea Life Aquarium because they’re about protecting our Seal Life. They have a system to help take care of our Sea Life. What was MY Favorite part? They have a glass “tube” like walkway where the sharks, stingrays and everything else in the tank, swim all around you. I was in love. There are literally thousands of amazing creatures you can check out with the whole family. There are rescued sea life that you can get up close and personal with as well. 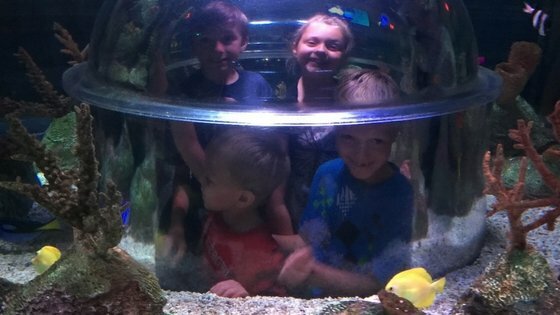 My kids LOVED seeing the vibrant sea life up close and personal. Grab your Combo Experience tickets today and head to Legoland and Sea Life! Visiting both places were special to us and we can’t wait to go back. When’s the last time you took a family outing?